Do you like cold country and want to get married in a breathtaking place? Getting married in Iceland is what you need. 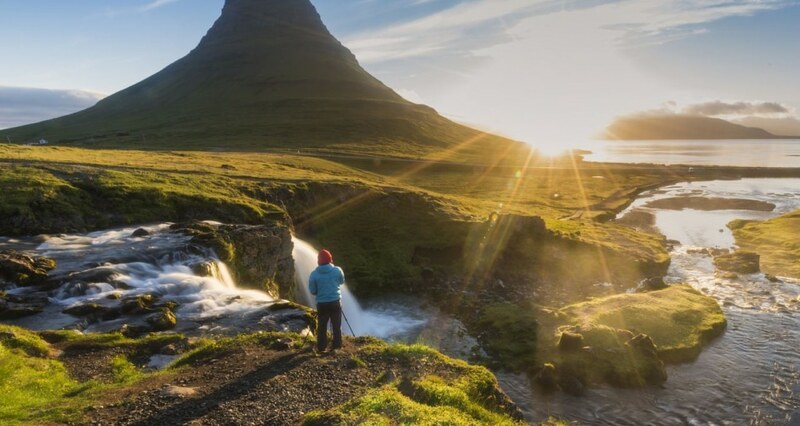 Perfect for nature lovers, this country is full of landscapes more surprising than each other. What could be better than a black sand beach, a chapel at the foot of the mountains or even torrents and ice cascades. This Nordic country offers spectacular spots for an original and unique wedding. Whether early or late afternoon the time & place will be perfect.Isn’t getting married in Iceland the best choice you can make? The country is located in the middle of the Atlantic Ocean between Greenland and Norway, it is marked by a culture from the Viking era. Then the national language is Icelandic, but if you speak English you can easily be understood. Iceland is a republic governed by Guọni Th. Jóhannesson. In 2009, the country submitted its application for the European Union but it was withdrawn in 2015 because a majority of Icelanders refused to accept the fishing quotas imposed by the EU. Their economy is based on finance, fishing and industries. It is important to know that the country is, because of its geolocation, very marked by volcanism. In Krysuvik you can discover the Solfatares of Seltun. These are gas emanations from volcanoes. The most important thing is that you will be able to feel the earth rumbling, see mud marres and boiling water but also smell the smell of sulphur and smoke on this absolutely incredible site. It’s like another planet, don’t you think? 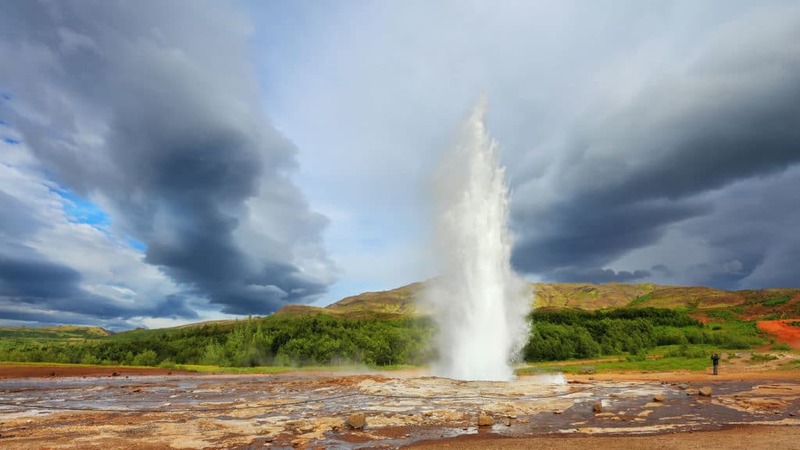 There is an Icelandic geyser that has given its name to all the other geysers: the Geysir. 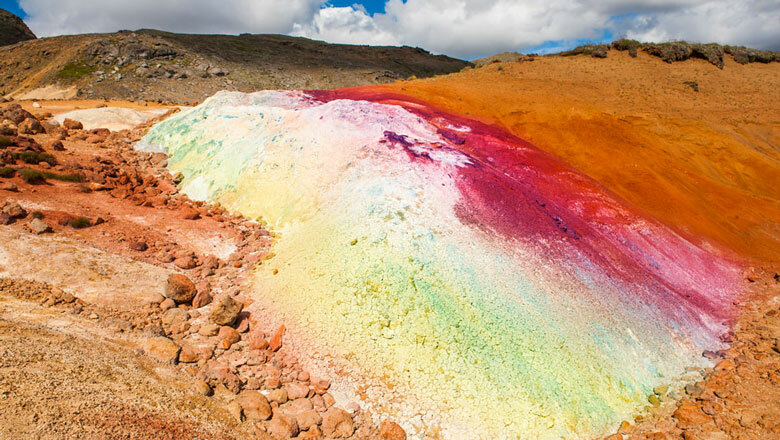 This natural site is the best known and visited in Iceland. If you want to see a gusher it is more interesting to focus on Strokkur (a few minutes from Geysir) because it gushes every 5 to 10 minutes unlike Geysir (2 or 3 times a day).The site is obviously free. 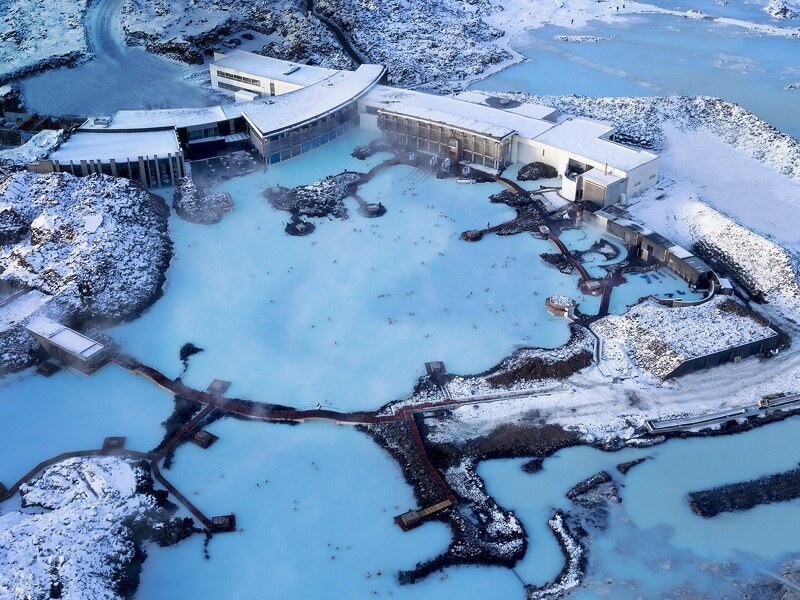 The Blue Lagoon is a very tourist spa with water coming from the Svartsengi geothermal plant. Its very blue water would have benefits on the Man. The lagoon is naturally loaded with mineral salts, silicates and microalgae. I advise you to go see him at least once. You will not be disappointed. Vík í Mýrdal & Sólheimasandur are towns in the south of Iceland. They are full of surprises, believe me. First, the columns composed of basalt at Vik are basaltic organs (reference to the musical instrument). They are the result of solidification and thermal contraction of a basalt flow. And secondly, black sand beaches are also a must-see in Iceland. 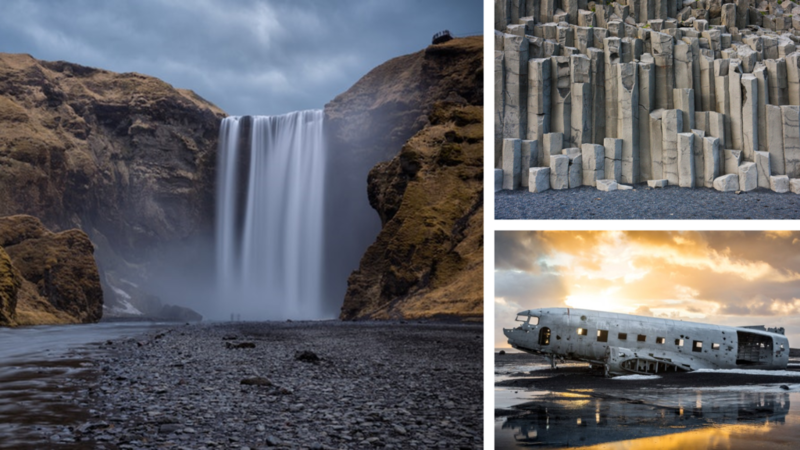 On one of the beaches of Sólheimasandur you can discover the wreck of an American plane dating from 1973. This carcass refers to the emergency landing of the United States Navy aircraft. 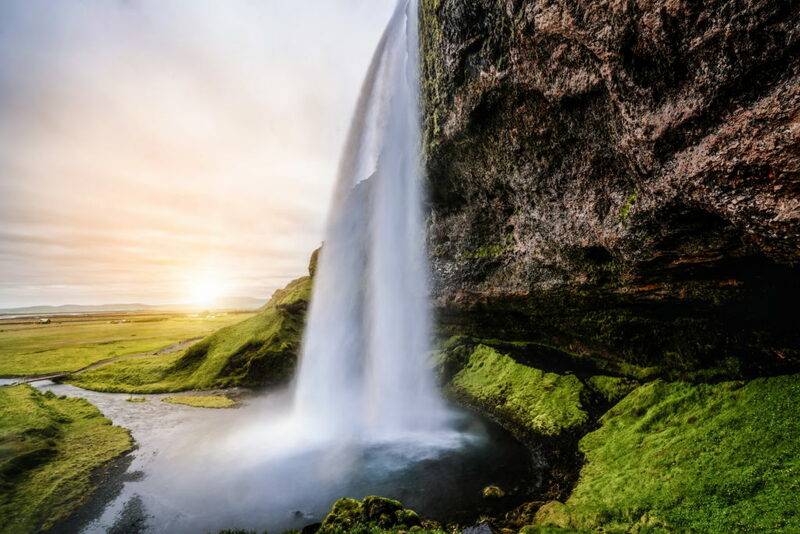 Seljalandsfoss is one of Iceland’s many impressive waterfalls. With a height of 65 meters high it has a small peculiarity. 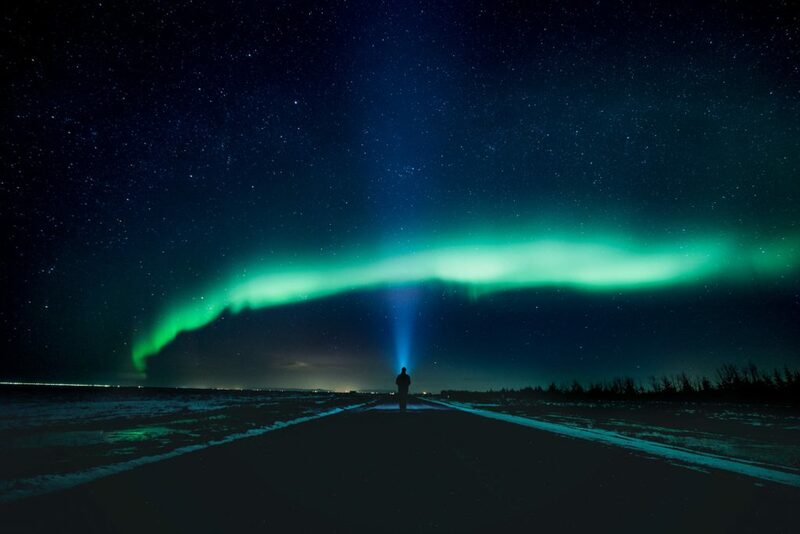 It offers a unique and magical moment by allowing you to go behind. So you can have another point of view through the water. 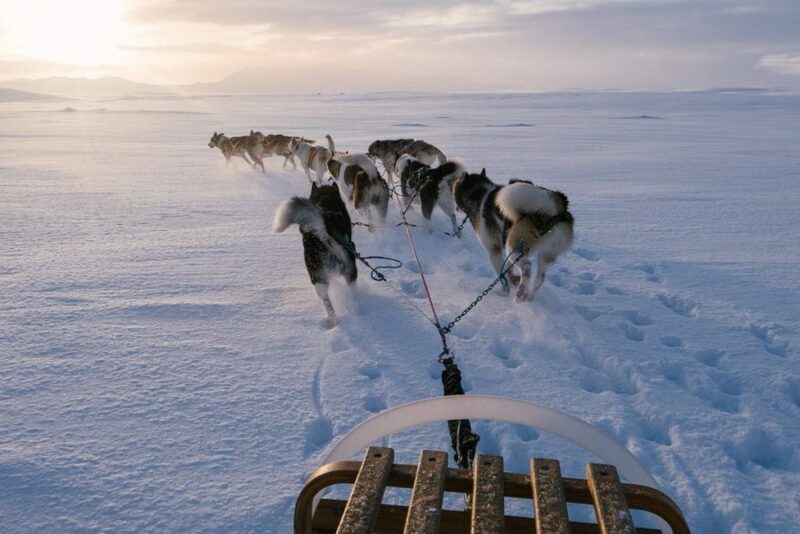 Advice for an original and memorable activity like the rest of your stay, dog sledding. We advise you to do this with Dogsledding Iceland. Nothing more magic! Country of Game of Thrones. There is so much to do that we can not even tell you everything. 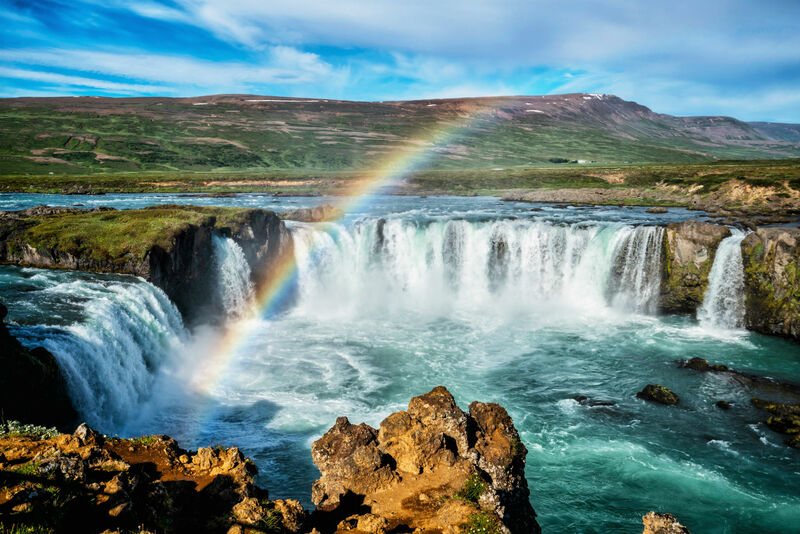 Last little information, if you are a fan of Game of Thrones go ahead, you have to get married in Iceland.Filming took place in Iceland for some scenes. Several guides propose to follow a route exclusively Game of Thrones. Here is a map of Iceland gathering the activities I just mentioned. We convinced you that getting married in Iceland is a crazy and magical bet? Do you want to take the plunge by choosing this destination wedding to unite? Contact us !! !